Thursday through Saturday, Noon to 7pm. Box Office also open 2 hours before all performances on Sunday through Wednesday and will remain open through intermission. Tickets also available online. All tickets must be purchased either in person, using cash, check or credit card, or over the phone/web using credit card. Ticket orders will be held at the box office if timely delivery is uncertain. Wheelchair and easy entry spaces are available throughout the Center. 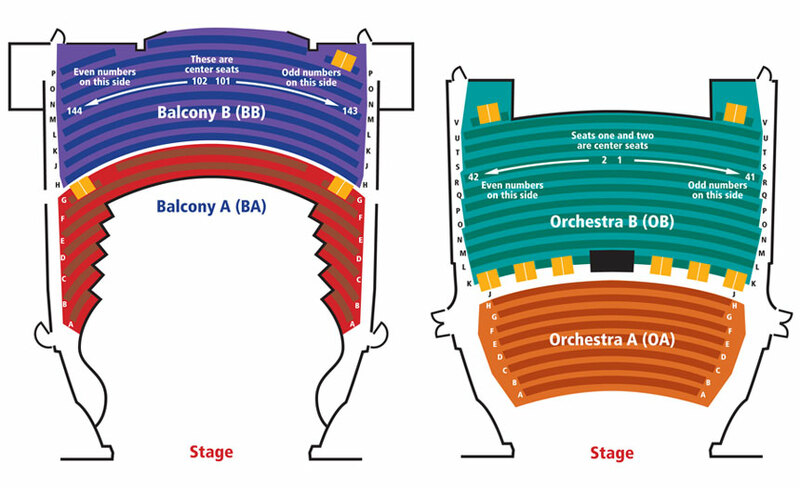 Companion seating is available adjacent to these areas as well. Devices are available for the disabled and the hearing impaired at the box office. Tickets for Professional Season cannot be refunded under any circumstances. For Dearborn Recreation Cultural Arts programs, tickets may be exchanged for another performance of the same show up to 24 hours in advance of curtain. The Center serves as a ticket outlet for many lessees and cannot refund or exchange tickets for any non-FCPAC sponsored show. The Center requires every attendee to have a ticket. Most events are not suitable for preschool-age children. While we believe a child should be exposed to the cultural arts, we are mindful of other patrons' enjoyment as well. Therefore, we ask parental discretion in bringing small children and infants. Should a child be unable to sit quietly in his/her own seat throughout a performance, our ushers may request that the child and accompanying adult leave the theatre. As a courtesy to the performers and audience, latecomers will be seated at an appropriate break in the program. Latecomers may be asked to sit in alternate seating until appropriate moves can be made. Persons expecting emergency calls are asked to leave their seat location at the box office. Persons carrying cell phones, beepers or other paging devices are asked to turn them off or to check them at the box office. The box office will gladly monitor calls. The box office can replace lost tickets. Call (1.313.943-2354) or visit the Box Office, and we will be happy to assist you. I.D. may be requested.